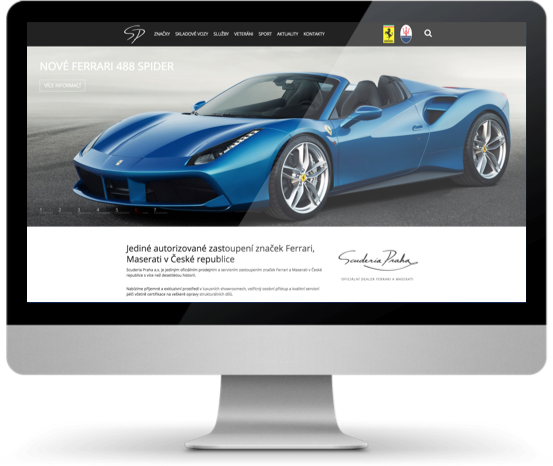 We are working on the websites for the official Czech importer of the famous Ferrari and Maserati cars. The cooperation is in place for more than 3 years. Scuderia website presents the showroom, all the available car models for both brands, stock cars with comprehensive details and more. Part of the website is also a subsection about historical cars, renovation processes, etc. The website is fully responsive for all the computer and mobile platforms.